Are you behind on your car payments? Has the lender for your car loan notified you that it is taking steps to repossess your vehicle? Have you been trying to hide your vehicle and avoid driving your vehicle for fear a repossession company will find your car and take it? 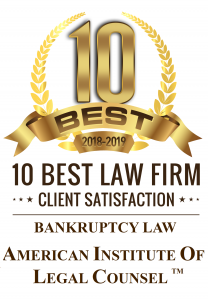 If you answered yes to any of these questions, a bankruptcy attorney may be able to help you keep your car and help you get rid of unsecured debts (i.e. credit cards, medical bills, personal loans) at the same time. If you are behind on your car payments, the lender will take steps to repossess your car to satisfy the debt. Unless you can repay the debt in full, your car will be sold at auction and the proceeds used to satisfy the lien. In addition to losing your car, if the lender does not receive sufficient funds from the auction to pay the loan in full, the lender can sue you and obtain a judgment for the unpaid balance on the account. Filing bankruptcy can save your car from being repossessed. Once the bankruptcy case is filed, the automatic stay provision of the Bankruptcy Code prevents the lender from taking any action to repossess your car before obtaining permission from the bankruptcy court. Filing a bankruptcy case under Chapter 7 only delays the repossession. To save your car in a Chapter 7 case, you must have enough funds to catch up the payments in full before your Chapter 7 case is closed or the lender receives permission from the court to proceed with the repossession. However, in a Chapter 13 case, you can reorganize your car loan in the Chapter 13 plan to keep your car and catch up on late payments over 3 to 5 years. How Is My Car Loan Treated In A Chapter 13 Plan? In most Chapter 13 plans, the entire car loan is included in the plan. The bankruptcy trustee uses a portion of the monthly plan payment to pay the car loan according to the terms contained in the confirmed Chapter 13 plan. For most debtors, the Chapter 13 plan lowers the monthly car payment by spreading out the payments over a 60-month plan. Furthermore, the interest rate paid to the lender through the Chapter 13 plan is often lower than the interest rate the debtor was paying on the car loan prior to filing bankruptcy. When the debtor completes the Chapter 13 plan, the car loan will be paid in full and the lender must release the lien on the car. What If The Value Of My Car Is Less Than The Payoff On The Car Loan? If the fair market value of your car is less than the payoff to the lender on the car loan, you may be able to value the lien. For example, if the payoff on your car loan is $10,000 but the fair market value of your car is $6,000, your attorney will include a motion in the Chapter 13 plan to value the car lien at $6,000. When you plan is confirmed, the trustee will pay the lender $6,000 to satisfy the lien. The remaining $4,000 will be treated as an unsecured debt. An experienced chapter 13 lawyer can help you decide if filing a Chapter 13 bankruptcy case to save your car is in your best interest. In many cases, the bankruptcy filing helps you get back on your feet by eliminating unsecured debts for a percentage of what you owe on the accounts.